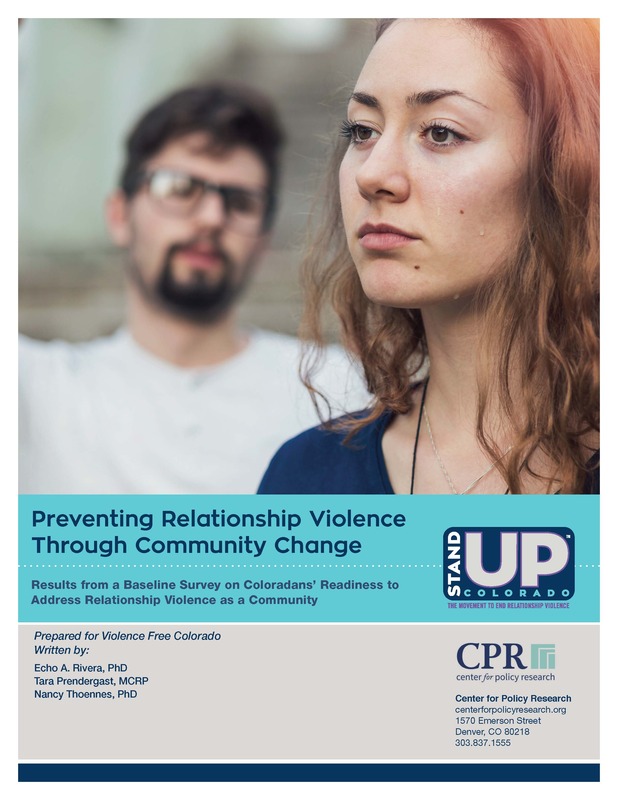 This report is part of an ongoing evaluation of the Stand Up Colorado social change initiative. Stand Up Colorado is a campaign aimed at preventing relationship violence (RV). The overall evaluation of the campaign will include both process and outcome components. This report focuses on the baseline survey that was conducted as part of the outcome evaluation. The baseline survey was developed in collaboration with the Stand Up Colorado Campaign through several meetings in early 2017. The survey was first developed in English and translated into Spanish by a third party. Participants for the evaluation were recruited through Facebook Ads. In all, 242 participants completed the entire survey (all scales and the demographics section), and 237 provided an email address to receive the incentive. An additional 59 participants completed some of the survey (some scales, but not the demographics). Therefore, for any one scale there may be up to 301 responses.